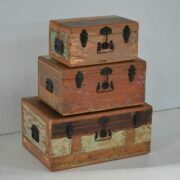 An eye catching hand painted trunk from Rajasthan. 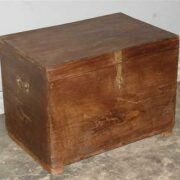 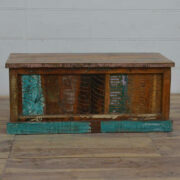 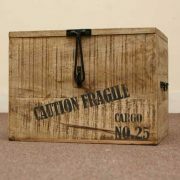 A beautifully hand painted trunk with turned wooden feet and a metal hasp. 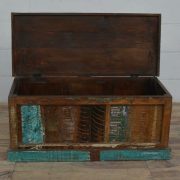 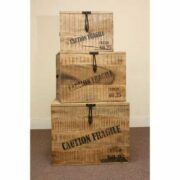 Painted in a predominant green colour, the trunk further colours and is adorned with a flourish of design and patterns.